While most cat owners are on the lookout for litter box problems, they may not be paying close enough attention to what’s going on inside the box. As unappealing as it may sound, keeping an eye on your cat’s poop can provide an important window into his health. By knowing what a healthy bowel movement is supposed to look like, you can notice when something isn’t quite right with your kitty, and figure out what to do about it. 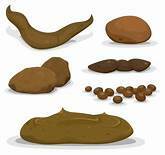 Just like for humans, your cat’s feces can be a predictor of important things going on inside his body. 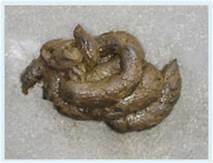 For example, a cat with abnormal feces may be suffering from a digestive disorder or liver or kidney disease, says Dr. Alan Schwartz of Compassion Veterinary Health Center in Poughkeepsie, New York. “In a relatively normal cat, [problems with bowel movements] can also be a sign of a sensitivity to the diet offered, as well as parasites,” he adds. Many times, when cats start to show signs of kidney disease, they become dehydrated, which causes them to have hard stools, says Dr. M. Duffy Jones of Peachtree Hills Animal Hospital in Atlanta, Georgia. “This can lead to constipation, but also should tip you off to get some blood work run to see if there is early kidney disease.” Of course, constipation can have other causes as well, including anything else that leads to dehydration, intestinal blockages, dirty litter boxes, inactivity, neurologic disorders, painful defecation, and the use of some types of drugs. Diarrhea can also indicate intestinal upset and inflammation, Jones adds, so it’s important to get it checked out. “It can be caused by anything from worms to things stuck in the intestines,” and many other potential problems, he says. abrupt change in your cat’s diet will almost always cause a change in stool, Schwartz says. Diet changes can temporarily affect the smell, color, and quality of your cat’s poop, notes Dr. Mark Waldrop of the Nashville Cat Clinic. If your cat is otherwise healthy, however, these symptoms should resolve within three to five days. “While your cat’s feces will never smell like roses, a notable worsening in smell should be evaluated, as it can be a symptom of intestinal disease,” Waldrop stresses. “Cats are all different as far as regularity, but most will have once daily bowel movements,” Schwartz says. But if your cat goes more than two days without stool production, it’s best to call your vet. 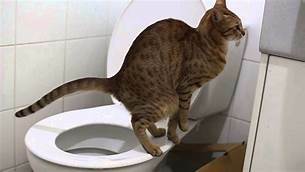 When cats are constipated, “they will strain or take an inordinately long time in the box, or frequent the box with no stool produced,” Schwartz says. On the other hand, too much stool can also indicate something is wrong. 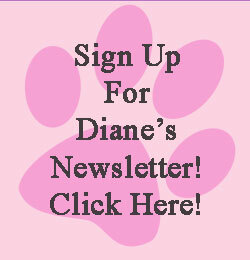 If your cat consistently has more than two bowel movements a day, you should consult with your vet, Waldrop says. Under normal circumstances, a cat’s stool is dark brown, Waldrop says. “Black is consistent with digested blood in the stool, especially if it’s shiny and looks like road tar,” he describes. Tan or light brown can be an indication of liver or pancreatic issues, he says, but diets high in fiber will also produce a lighter-colored stool. If you notice blood in your pet’s stool, make an appointment to see your veterinarian, Schwartz advises, as that can be a sign of a potentially serious problem and provide a route for bacteria to enter your cat’s bloodstream. To know what loose or hard stool looks like, you’ll first need to know what regular, healthy stool looks like. The ideal stool should be firm (but not rock hard) and shaped like a log, a nugget, or a combination of the two, Waldrop says. Keep in mind that the ancestors of domestic cats were desert dwelling creatures. As such, their colons are very effective at removing moisture from the stool, which means it’s normal for their stool to be firm, Waldrop says. “I have a lot of clients bring in normal stool for analysis thinking their cat is constipated,” he says. Schwartz notes that it’s important to keep an eye on the consistency of your cat’s stools, especially since cats are prone to inflammatory bowel disease, which is a relatively common cause of diarrhea. “Hair is the most common item noticed in stool, and if it’s not excessive, then this is totally normal,” Waldrop says. 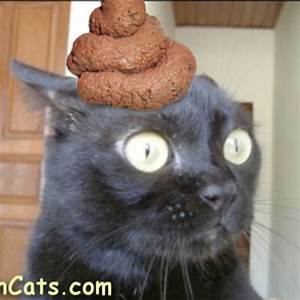 If you find large amounts of hair in your cat’s poop, it can be an indication that the cat is over-grooming, he explains, which can be associated with anxiety, itchy skin, or diseases causing excessive shedding. Tapeworms may also be seen in your cat’s poop, Waldrop says. “They are shiny, white, and about the size of rice,” he describes. “They may also be moving.” Most other intestinal parasites are not visible in the feces. Other things to watch out for include pieces of cat toys or other household items, such as thread or dental floss. “Some cats are chewers, and if you see these kinds of things in your cat’s stool, you will really need to keep those items out of your cat’s reach, as they can potentially lead to an obstruction,” Waldrop says. If you notice any of these objects in your cat’s stool, make an appointment with your veterinarian. As a rule of thumb, never try a home remedy for your cat’s poop issues—or for any malady—without first checking in with your veterinarian, Schwartz says. “Cats are very particular with their sensitivity and tolerance to over-the-counter medicines,” he says. In addition, it’s always important to make sure your cat has access to fresh water and is drinking enough of it, he says. “Elderly cats are commonly dehydrated because they tend to drink less,” and are prone to diseases that increase their water intake needs.